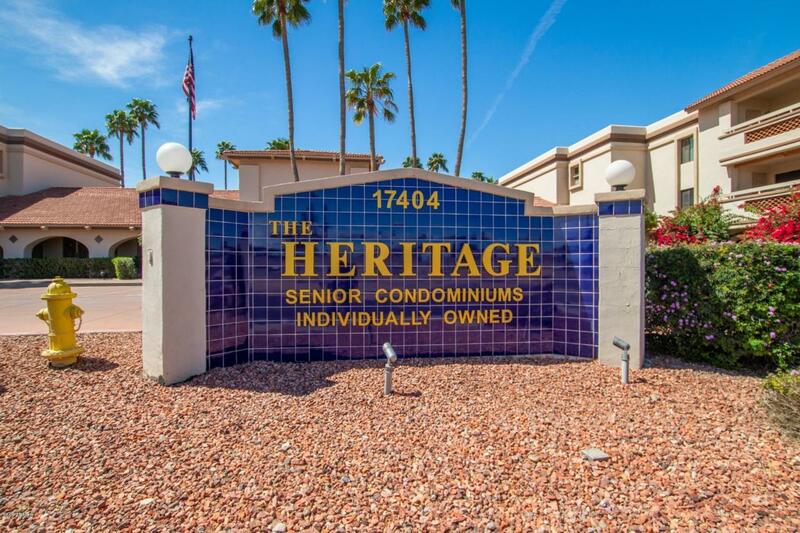 1st floor condo with one of the best locations at The Heritage! Oversized, private patio offers plenty of shade allowing you to enjoy the outdoors year-round. Popular floor plan with split bedrooms, white cabinets with raised panels in kitchen and baths, ceiling fans, neutral 16'' tile and carpet throughout. 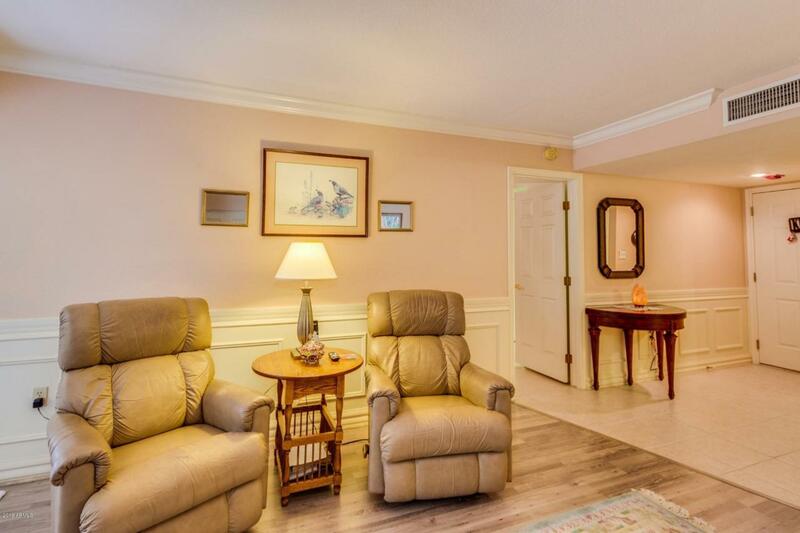 Beautifully appointed with wainscoting and crown moulding in master and living/dining rooms. Unit is convenient to parking and includes washer/dryer and storage closet. 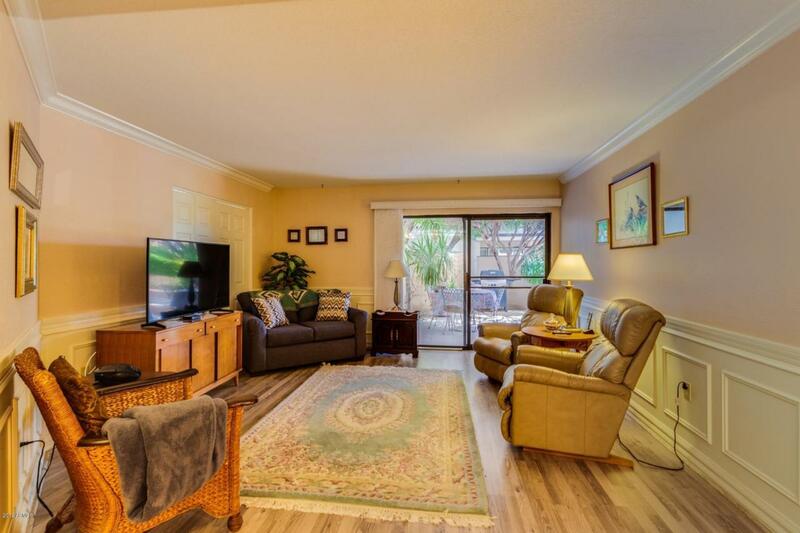 Condo includes assigned covered parking spot for a car plus a space for a golf cart and an outdoor storage unit. 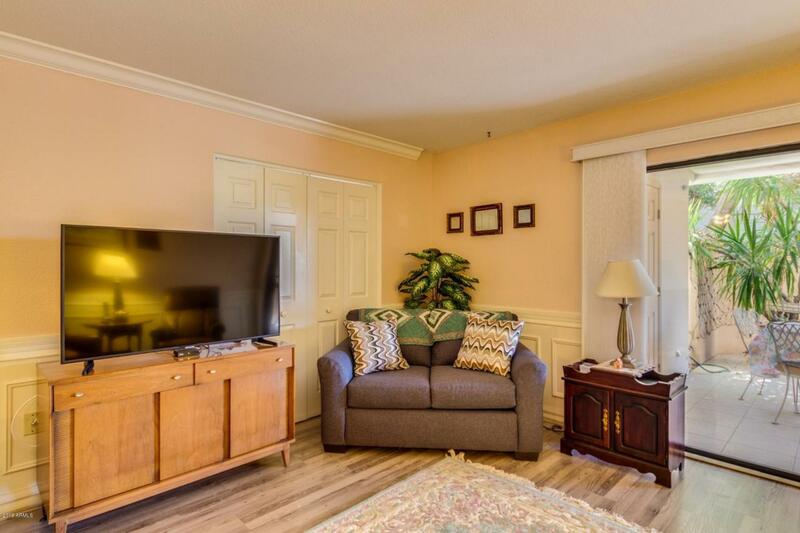 The Heritage offers a sparkling pool & hot tub, meticulously manicured grounds, social areas, on-site fitness center, gated parking, billiards table, monthly activities and is close to shopping.